What did you Major in at Drexel University and Why did you choose it ? 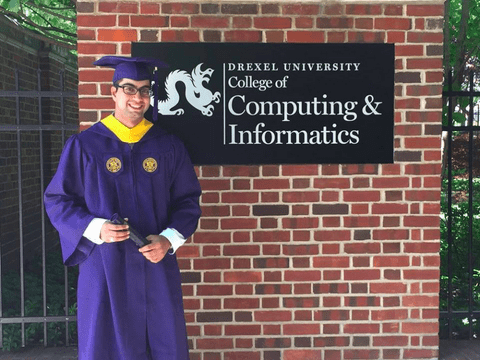 I started at Drexel majoring in Mechanical Engineering, switched to Computer Engineering in my second year and finally graduated with BS in Information Technology. Before starting Drexel, I was interested in Mechanical and Computer Engineering but due to lack of job opportunities in Mechanical and extensive programming in Computer Engineering I finally decided to major in IT as it matched my interests and also gave me tons of options in the job market. How easy or difficult was it for you to crack the admission at Drexel University? I am not sure about how easy or difficult it was because while applying, my SAT, TOEFL, and high school scores were at par with Drexel’s requirement but I was still unsure about my chances of getting an admission. From what I’ve heard, Drexel is a pretty lenient school and their acceptance rate is between 75-80%. What all did you do to make sure that you make a successful application? Was it a cake-walk or you had any hiccups? I believe with my limited knowledge it wasn’t a cake-walk, but as I was with a good consulting an institute , it was easier as they helped me with my SAT and TOEFL preparation. They helped me complete all the requirements of different universities I was interested in and also helped in preparing for the Visa interview and assembling the essential and financial documents required for the interview. How did you go about writing your Essays? Do you think it helps to start writing early ? Its always better if you start writing early as it gives you a lot of time to proofread and make corrections. I used to write it in parts and get it proofread by my school English teacher and the expert consultants, who also helped in refining the essay before the final submission. Did you apply to other schools and get acceptances from there as well? If yes which all ? Why did you choose Drexel ? I chose Drexel since they were offering me a good amount of scholarship and Drexel was ranked higher than other Universities I got acceptance from. Tell us more about the course ? Was it intensive enough ? The course was not at all intensive. First year of college was basically revision of what we did in grade 11 and 12. Starting second year, the courses become more major/concentration oriented and as you go they become slightly demanding but well within your area of interest. We also get to do a lot of elective courses with our main core courses so this allows us to learn something new as well. How is the University life at Drexel? Share some insights. Drexel’s hometown is Philadelphia. Drexel has an open campus and an amazing view of Downtown Philadelphia, which we often refer to as ‘Center City’. The University life is great; we have an amazing library, recreational center, residential dorms, classroom halls, restaurant chains, etc. Drexel’s mascot is a Dragon named ‘Mario’ and there is a huge statue of it in the center of our campus. The campus is filled with tons of food trucks. ‘Food trucks’ are extremely popular in United States and are the main source of breakfast, brunch and lunch for students. Drexel is also one of the few universities to provide guest and secured Wi-Fi in the entire campus. Everything in campus is accessible by foot and there are shuttles that run through different routes connecting with Center City and close neighborhoods. Drexel also provides students with the opportunity to join groups on campus based on their interests and cultures. This helps students socialize, especially in their first year, and also lets them meet students studying in their third or fourth years that help them get an insight into their future at college. I personally have been part of the Drexel Cricket Club and the Drexel Indian Students Association in my years at Drexel. I was the President of the Cricket Club for two years and the Vice President of the Indian Students Association in my third year. Did the University train you well? Would you recommend the University to other Students? Yes, the university trains you very well especially with their Co-op program. Drexel’s Co-op program allows the students to gain some work experience while continuing their education at Drexel. It’s not easy to find internship in United States but Drexel has a separate portal and a well-defined process for applying to different companies like Apple, JP Morgan, etc. Imagine having work-experience of 1-1.5 years straight out of college, how easy would it be to find a full-time job. I would definitely recommend Drexel to other students. Tell us more about life in USA. One good thing about life in US is that you become independent. From your laundry to your finances to your taxes, you have to do everything alone. The education system in the US allows students to communicate with their professors personally and get positive feedback on their work. The life allows you get the best of both worlds; one can get the opportunities without missing home. Having access to Indian amenities here makes life even more easier. What did you do post your degree ? What are your future Plans ? I am working in the same company where I completed my third co-op, who extended me a full-time offer. In future, the plan is to continue work for a while and then go for MBA.